Illuminated Abbey; Whitby Abbey lights up the sky this halloween! HomeWhitby AttractionsIlluminated Abbey; Whitby Abbey lights up the sky this halloween! Illuminated Abbey is the the perfect event for fun loving families to experience the iconic Whitby Abbey as you’ve never seen it before! Starting on 25th October, Illuminated Abbey returns for 2018 with all the colours of the rainbow lighting Whitby Abbey for one week only. The event includes the legendary story of Count Dracula brought to life in the surreal setting of the abbey aglow with light and colour. This amazing show features a unique twist. Don’t miss it! Our seasonal historical traders will be on hand to help keeps hands and toes warm with a selection of delicious edible treats, hot drinks and even spooky souvenirs to take home from this memorable evening of history brought to life with light and drama. Get your tickets before the 24th October to receive 10% discount. Looking for a fun family friendly activities for all ages this halloween in Whitby? We’ve researched all the best of the spooky seasons events and activities for you to enjoy in and around Whitby. Check out our handy guide to 13 fun things to do in Whitby at Halloween. If you plan to visit Whitby Abbey then the East Side is perhaps recommended since this keeps the walk to a minimum. The East Side also offers easy access to the 199 steps, the iconic walk up to the Abbey. Shoreline Cottages offer a fantastic selection luxury holiday cottages on the East Side of Whitby with many properties situated in Henrietta Street which is adjacent to the 199 steps – you couldn’t get closer if you tried! Take a look at Shoreline Cottages to find your perfect stay in Whitby. For couples we highly recommend Saucy Sal’s cottage. 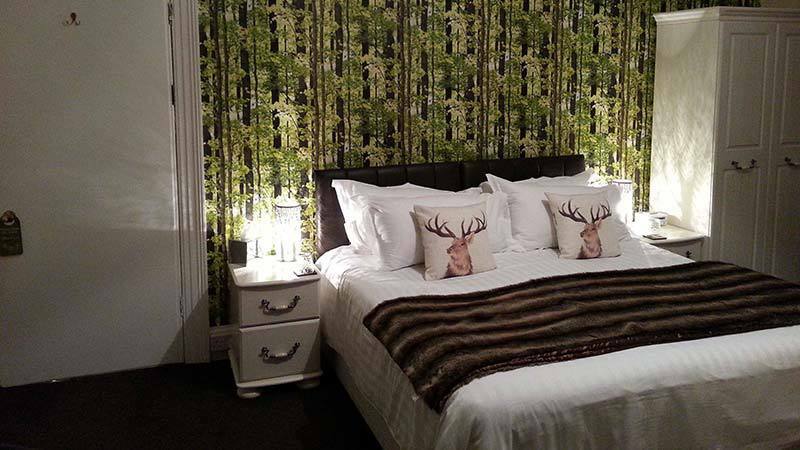 Located on Church Street this charming bolthole is perfect for a romantic weekend away in the heart of Whitby and super close to the 199 steps leading to the abbey. If you’re looking for a bed and breakfast on the East Side we would recommend Sanders Yard. Just a short stroll along Church Street. However, if you’re happy to take a stroll through town over Whitby’s famous 100 old swing bridge, then there’s a wide selection of excellent B&B’s such as traditional family run, Ellie’s Guest House or The Leeway, a quality boutique B&B. For easy parking on the West Cliff we recommend Heathfield Guest House or for a little luxury your could stay at Dillons of Whitby. There are lots of pubs in Whitby for your to visit, particularly on the East Side. The Abbey Wharf is great for families if you don’t mind getting up the steps. The Star Inn The Harbour is a great choice for all occasions, especially the ice cream parlour! A visit The White Horse and Griffin in essential for that historic Whitby feeling. There are also pubs with accommodation for those looking to stay close to the action at the bar. There is a nice selection of real ale pubs for the beer connoisseur and dog friendly pubs for those wanting a beer with their hound. Love Illuminated Whitby? Pin It!